The SSSR Nominations Committee is proud to present to you the following candidates for the SSSR Board Member position. I am currently working as a Full Professor at the Department of Psychology of the University of Hong Kong. I specialize in reading-related research, authoring over 130 publications on literacy development, assessment and intervention, dyslexia and reading difficulties, genetics of language and reading development, and mathematics learning and disabilities. I also secured competitive grants of over USD 11M on various projects in the past years. Of particular highlight, our research team has produced the first standardized assessment instruments for the identification of dyslexia in Chinese and an effective reading curriculum for the Chinese tiered intervention model. I have served as an Associate Editor of the Asian-Pacific Journal of Developmental Differences, and editorial/board member of SSSR journal, the Reading and Writing journal, and the Association for Reading and Writing in Asia. I have been a voting member of the SSSR and attending the annual meetings since several years before 2000 when the Society was newly established. I witnessed the growing in size and complexity of the Society with the launching of its own journal, increasing number of parallel sessions and introduction of various awards in the annual meetings. With the participation of many key figures and energetic young researchers in the field, the Society has fostered the growth and impact of reading research in many different areas. Over the years, I have met friends from different countries and have gained inspirations and enlightenment with new collaborations. I do congratulate the achievements of the Society and thank many of the dedicated Presidents and Board members for their time and effort. I just feel that I have enjoyed a lot the hard work of other people and it’s about time for me to pay back. My humble wish is to contribute my limited experience in research and related work to help carry on the meaningful mission of the Society. The Society for the Scientific Study of Reading (SSSR) has been instrumental to my development as a literacy scholar. I gave my first presentation at the 2006 annual meeting in Vancouver. Both during and after my presentation, I received outstanding critical feedback on my research. I am always impressed by the rigor and relevance of the presentations at our annual meeting and the publications in our flagship journal. As a board member, I would strive to advance the core mission of SSSR by promoting the scientific study of reading and broadly diffusing knowledge for improving reading practice. I would be honored to help build strong professional collaborations among scholars united by the mission of SSSR. In the future, there are many ways that the Society might expand its influence and impact in the research, policy, and practitioner communities. For example, research is critical to helping policymakers accelerate and equalize literacy outcomes in developing societies. Scholars in SSSR can play a key role collaborating with university-based organizations, governments, and non-governmental organizations in conducting basic research and testing large-scale literacy improvement efforts globally. I am also interested in bridging the gap between research and practice by fostering scholars’ efforts to systematically replicate important scientific findings in literacy. The quality of evidence-based practices depends on the accumulation of scientific research in reading. I am currently an associate professor at the Harvard Graduate School of Education, and I conduct intervention research designed to improve low-income children’s reading comprehension ability. After attending my first SSSR meeting, I became very enthusiastic about the society and the range of interests represented in the program. SSSR quickly became my favourite conference and the group my ideal academic community. SSSR creates opportunities to come together and share ideas, results, and new research passions. Every year, newcomers, students, postdocs, and regular attendees are made to feel welcome and an integral part of the community. SSSR members are an extremely amiable group. The Society has developed a first-rate journal and the conference programs are full of excellent symposia, papers, and posters on many aspects of reading, from genetics, epigenetics, and neurobiological underpinnings of reading to cross-cultural, linguistic, instructional, developmental, and clinical topics. Maureen Lovett is a Senior Scientist in the Neurosciences and Mental Health Program at The Hospital for Sick Children and a Professor of Pediatrics and Medical Sciences at the University of Toronto. 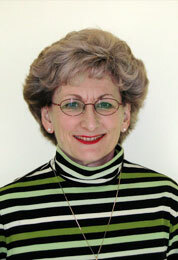 She is Founder and Director of the hospital’s Learning Disabilities Research Program. She, her team, and her colleagues have contributed to learning disabilities research and practice for more than three decades, creating interventions for children and teens with severe reading disabilities, evaluating their efficacy in controlled designs, and scaling interventions up in school systems. Currently she is working with Atlanta and New Haven colleagues looking at the neurobiological profiles of treatment resisters, and with the Center for the Study of Adult Literacy on interventions for adult learners. According to the SSSR Bylaws, only voting members can participate in SSSR elections. To be considered for a voting membership for future elections, you will need to complete the Voting Membership Form. Voting members: You will receive an email soon linking you to the elections.